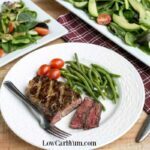 Once you learn most of the low carb hacks, you won’t ever feel deprived. You will have to learn to how to cook, though. 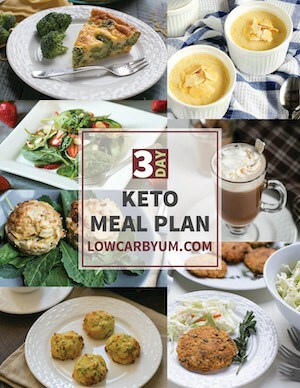 When I first moved to low carb eating, my cooking was pretty horrible. 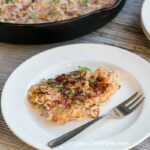 I was determined to eat good food so I slowly taught myself how to make the foods I was missing. After making the white chocolate bars last week, I knew there was one recipe that had to be tried. This of course is white chocolate macadamia nut cookies. It took a couple tries to get a cookie texture that I liked. The first batch resulted in super flat cookies so I upped the baking soda. Then, the texture wasn’t quite right, so I added some zero carb whey protein powder. 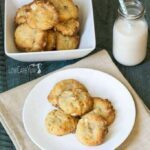 The result are some yummy low carb white chocolate macadamia nut cookies that you and your family are sure to enjoy. 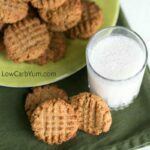 These cookies are an old favorite and I’m glad I can finally enjoy a low carb version. I was tempted to add a bit of VitaFiber or Sukrin fiber syrup to provide a softer texture. However, the last batch gave a nice texture so I didn’t bother with another attempt. I may try a tablespoon in a future batch just to see if it makes a difference. I probably won’t be making these cookies too often as macadamia nuts are pretty expensive. 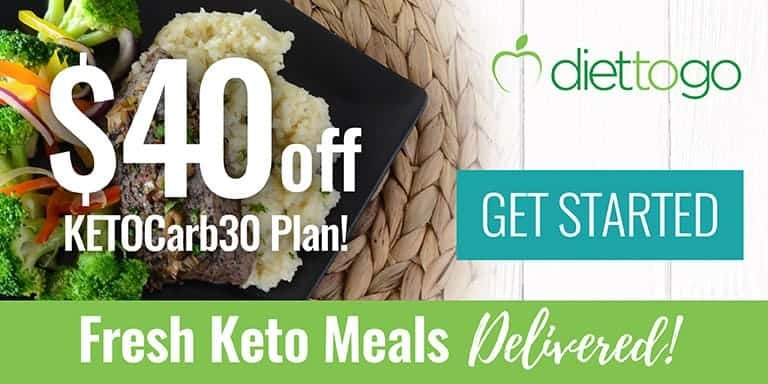 Couple that with the cost of low carb ingredients and it really adds up. 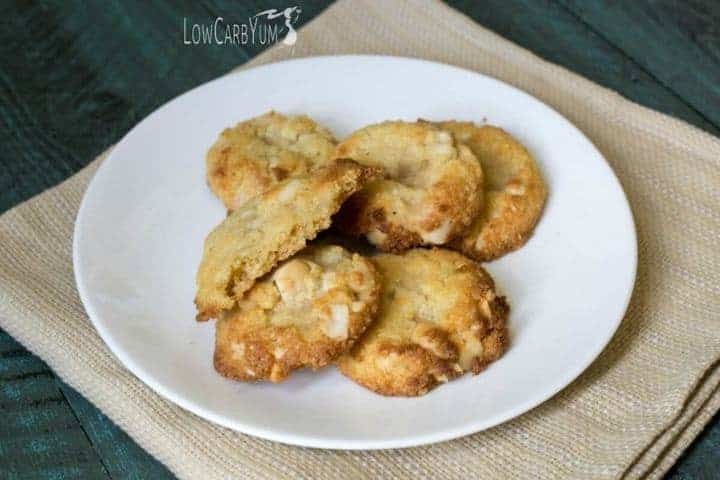 However, I think these low carb white chocolate macadamia nut cookies are worth it. 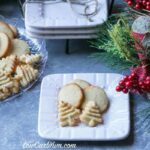 These are a great cookie to make for special occasions or holidays. Especially if you’ll be sharing them with your low carbing friends and family. Be warned that it’s easy to eat the whole batch by yourself. I had a hard time just eating one or two cookies. 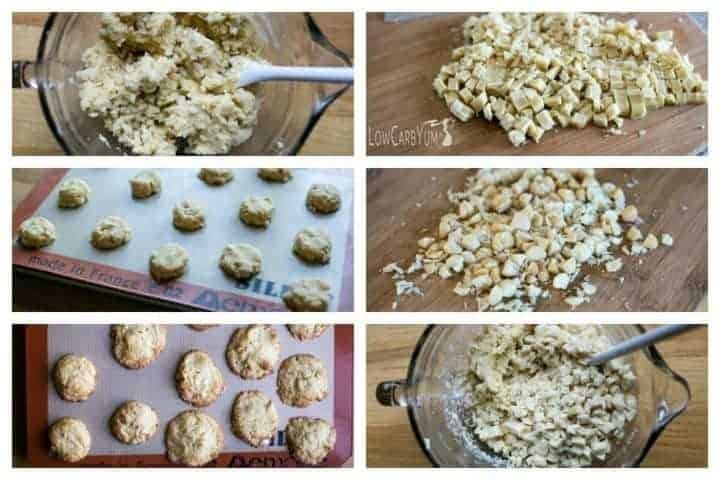 I think these white chocolate macadamia nut cookies will freezer well if you want to save some for later. You could certainly freeze half the cookie dough to bake fresh later. 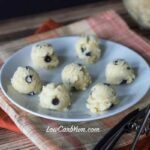 One of the things I like to do when freezing cookie dough is to freeze the dough in scoops. That way, you can just take out the number of cookies you want to bake. 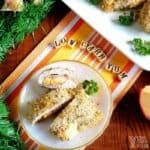 If you want just a few, you can use the toaster oven to bake them up. 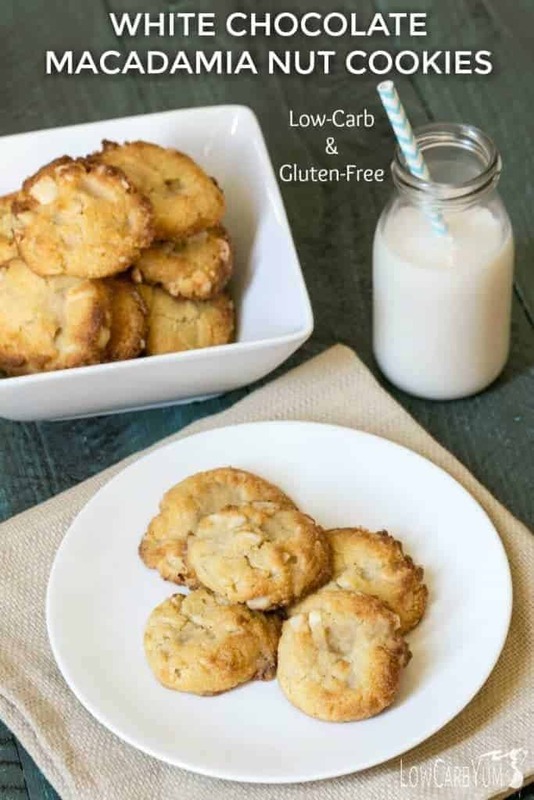 I enjoyed eating these low carb white chocolate macadamia nut cookies with a tall glass of almond milk. It’s a treat that’s hard to beat! 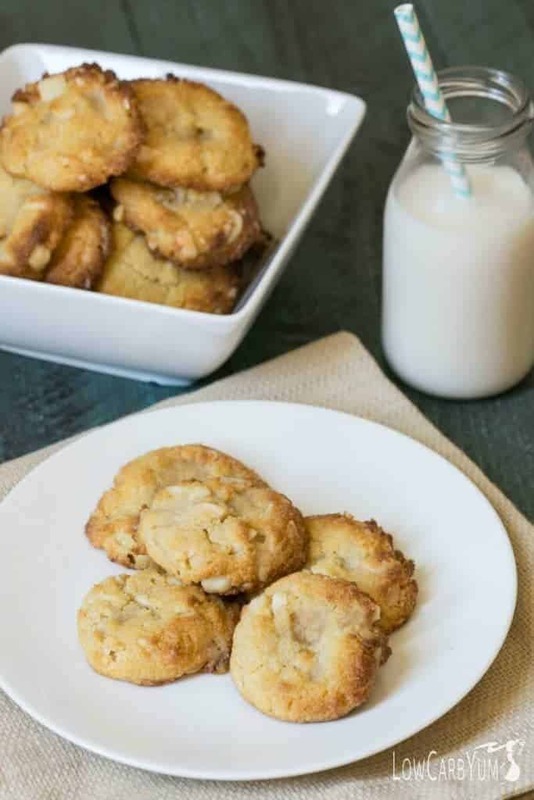 White chocolate macadamia nut cookies are my second favorite cookie. My favorite are chocolate chip cookies. And I’ve got a recipe for soft and crunchy chocolate chip cookies. 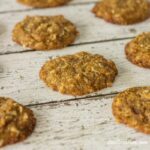 Do you have a favorite cookie that you haven’t found a good low carb recipe for? 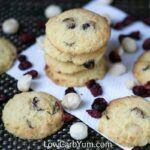 Think you can't have yummy white chocolate macadamia nut cookies on low carb? Think again! 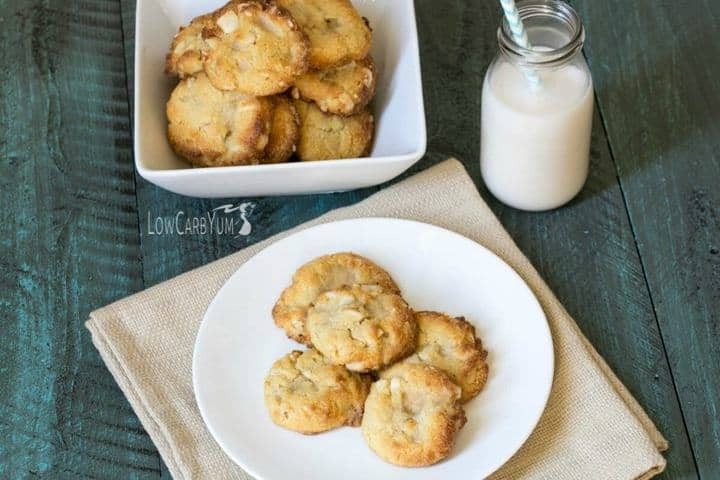 Check out this easy low carb macadamia nut cookie recipe. In medium mixing bowl, cream together butter and granular sweetener (I used Sukrin:1) with electric mixer. 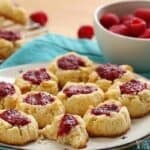 In small bowl, combine almond flour, coconut flour, whey powder, baking powder, and salt. 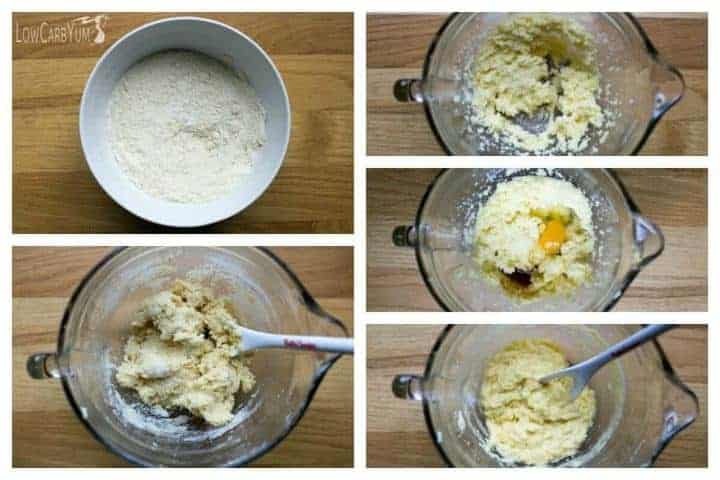 Stir dry mix into wet mix. Scoop tablespoonfuls of batter on silicone or parchment paper lined baking pans. Bake at 375°F (Comments noted this might be too high. May want to try 325-350°F instead) for 8 to 10 minutes (edges should be nicely browned). Cool for five minutes, then transfer each cookie to wire rack to cool completely. Store covered in refrigerator. Best served next day (they will be crumbly right after baking). 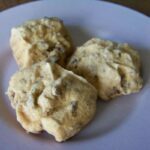 Cookie dough can be frozen if desired to bake later.